I’ve had an amazing few days of hosting some Americans, and I have a good friend here who is staying for the whole next week, so this means heaps of time at all my favourite restaurants and bars and trying as many new ones as possible. Needless to say, after some very heavy socialising, sometimes I am desperately in need of a healthy lunch packed with veggies. This dish fits the bill perfectly and combines two of my favourite ingredients: butternut squash and chickpeas. I also like the addition of some chili powder to give it a little heat, and the cumin, tumeric, and cinnamon lend it a slightly exotic air. This dish is packed full of veggies and I took the original recipe and added even more. I encourage you to substitute for your favourite ones and put together a fun colourful dish. As with many of my vegetarian recipes, the only “time sink” (consulting term, sorry) is in the preparation of the vegetables, since all of them need to be chopped into small pieces. If you’ve got this down to a science it can take perhaps 20-30 minutes – maybe longer if you’re entertaining yourself by watching TV shows at the same time. (but then the time will fly by regardless) The outcome is well worth it, as it makes a substantial batch (enough for 4-5 servings) and is great for either dinner or lunch. I love my baked goods and wine and cocktails…but I need this in my life too! 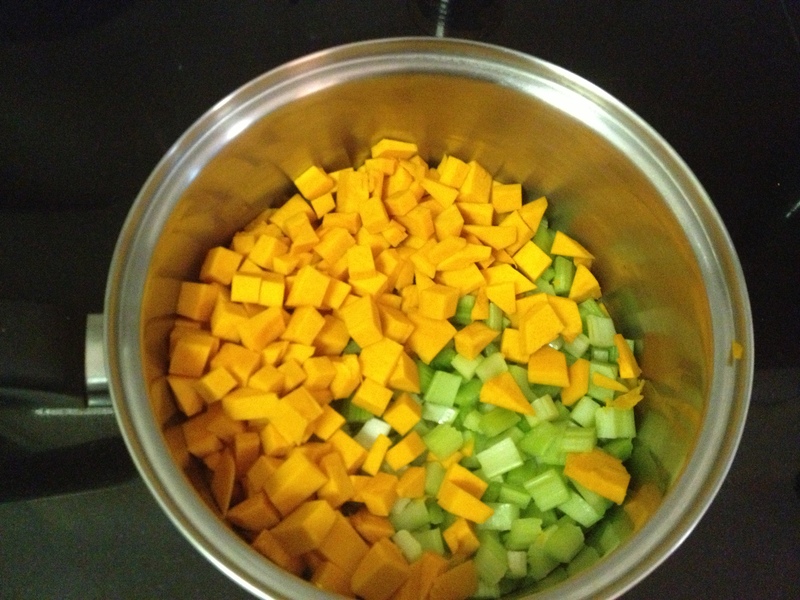 In a large stock pot or dutch oven, add the oil, onion, carrot (if using), celery, and butternut squash and heat to medium. 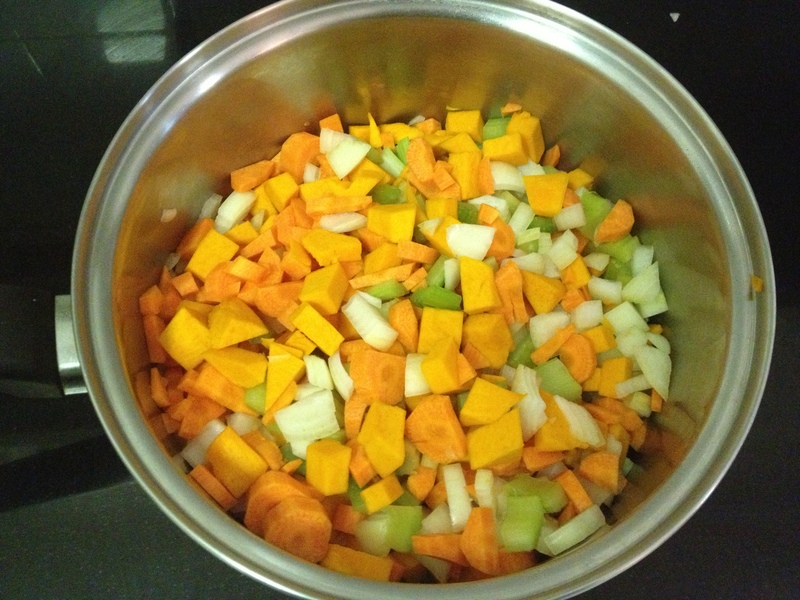 Sauté, stirring frequently, until veggies are softened and fragrant, about 12 to 15 minutes. Add the garlic, salt, and spices and sauté another 2 minutes. Add the broth and diced tomatoes and bring chili to a full boil. 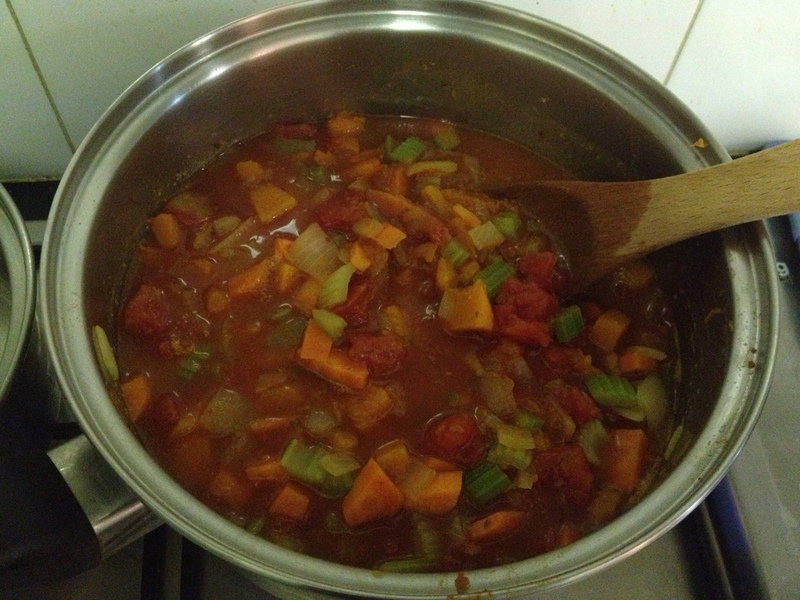 Reduce the heat to medium low, cover, and simmer 30 to 40 minutes, until vegetables are cooked all the way through. 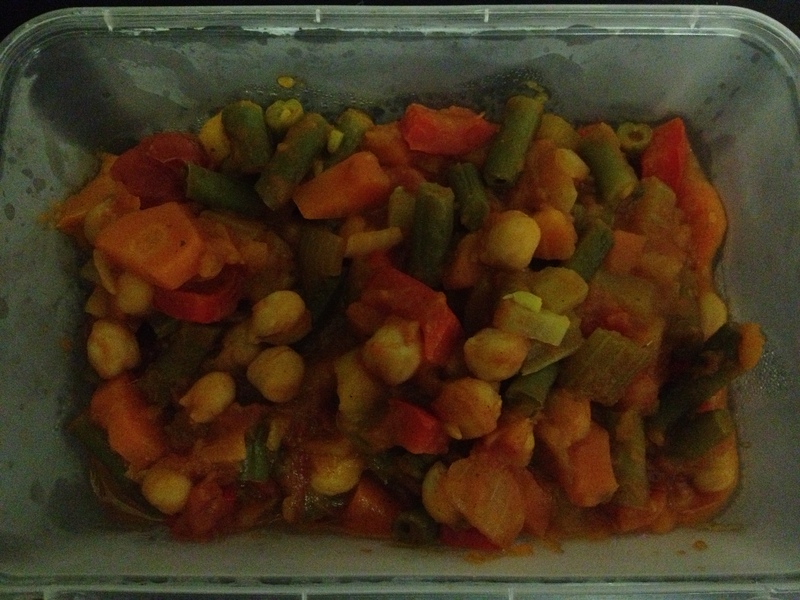 About 20 minutes into the time, I added the green beans, and I added the capsicum about 5 minutes before I added the chickpeas. When everything is basically tender, add the chickpeas and cook an additional 2 minutes. It’s good to just cook it to taste and take it off the heat when you have determined it’s done. 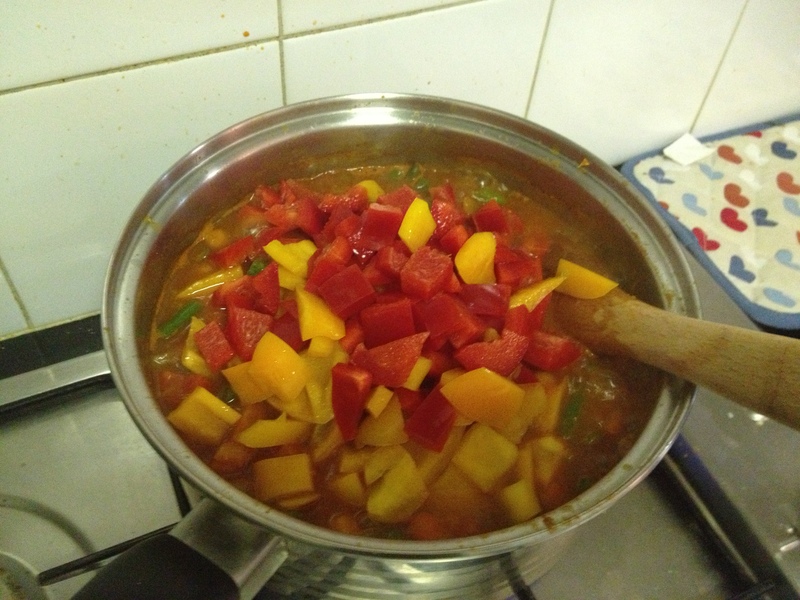 I also added red and yellow pepper/capsicum before the adding of the chickpeas step. I just had heaps of vegetables and wanted to use them all up. This is a really fantastic freezable dish. It’s so awesome to come back from a week away and have healthy food waiting for you in your freezer, so I highly advocate adding this one to your list of great freezable recipes. You definitely don’t need all the extra add-ins, but I really liked having the extra colour and flavours of all the different veggies. This is just one of those dishes where you feel virtuous eating it and it’s delicious. This one will become a regular for me!